The Monkey Light M210 is a rugged, practical, high performance bicycle light that keeps you visible in all weather conditions. 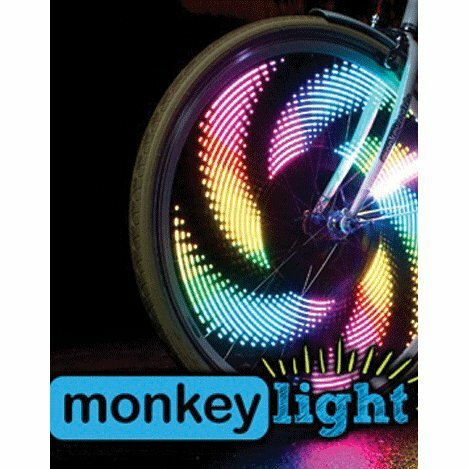 The Monkey Light M210 straps to your spokes and displays full color 8-bit graphics on your spinning bike wheel. Users can choose from 19 themes and 16 colors to create hundreds of combinations. Fits wheels 20" and larger. 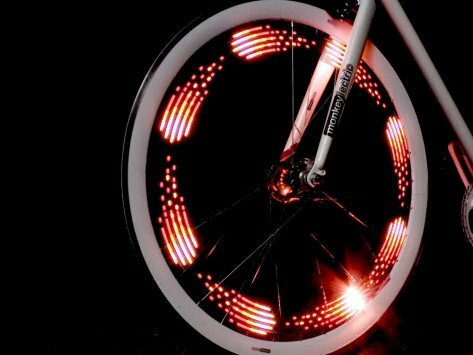 Fits some 16" wheels with hubs at least 38mm wide.